France manager Didier Deschamps has waxed lyrical about Chelsea striker Olivier Giroud – adding that he’s not content with his current game-time at the Bridge. This is the period in which speculation over players’ future tends to intensify. The summer transfer window is on the horizon, and especially for a player like Giroud, whose contract is set to end, a busy few months await. Giroud is a unique player. He started, and scored, for France during their demolition of Moldova and has also been in good form for Chelsea. However, he has little chance of earning a start in the Premier League for his club. The 32-year-old has started six Premier League games this term, with all of those coming in a period in which Sarri lost faith in Alvaro Morata. Since Gonzalo Higuain arrived, he’s been limited to starts in the Europa League. 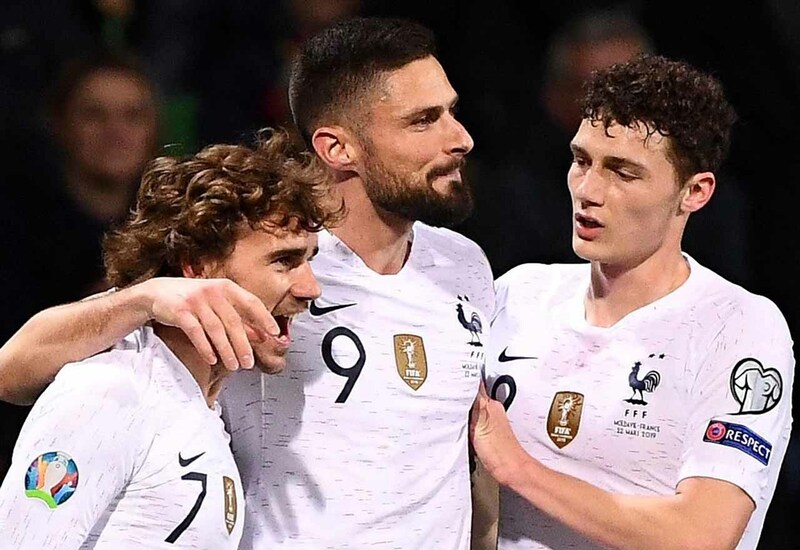 Didier Deschamps, who masterminded France’s World Cup triumph in the summer, has revealed Giroud’s discontent with his playing time, also making sure to sing the praises of the former Arsenal centre-forward. If anything, Giroud’s stock will have risen since signing for Chelsea. When given an opportunity, he has performed, as well as adding a World Cup winners’ medal to his collection. We fully respect and understand if he feels as though he needs to play regularly at this stage of his career. He deserves to be the focal point of a team’s attack. Only time will tell where he will end up this summer.